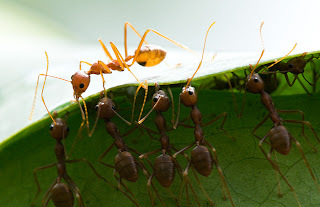 It's very interesting to see how the ants (or any insects like bees, wasps) build their nests. 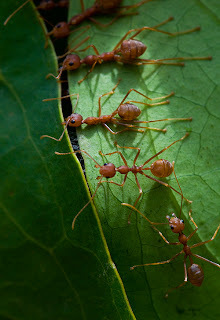 They build huge nests no where related to their size. 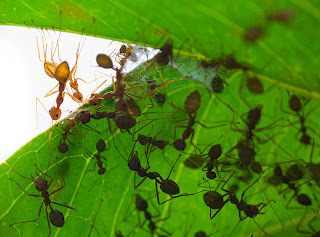 I am always amazed to see how they choose certain set of leaves among thousands of leaves, how they bend those leaves, how they stitch those leaves etc. 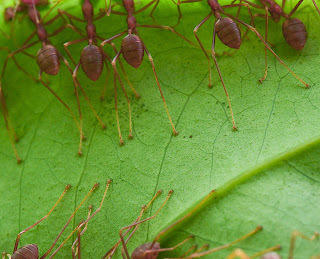 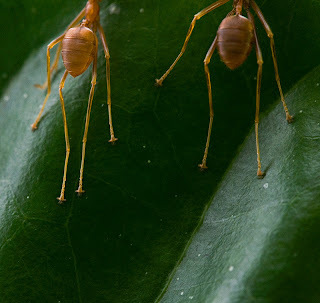 While stitching some of the ants strongly hold the lower leaf from their legs and pull the upper leaves from their mouth. some ants act as guards who always watch the predators coming near. 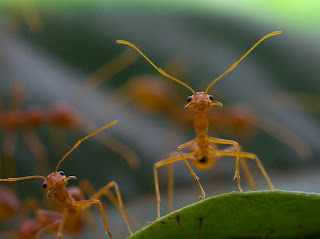 When I was trying to make images holding my camera in front of them they were closely watching me. 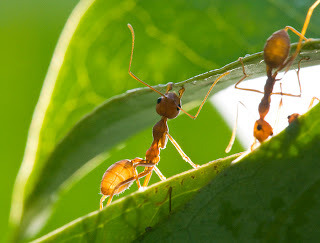 Some ants act as supervisors who checks works of each ant.